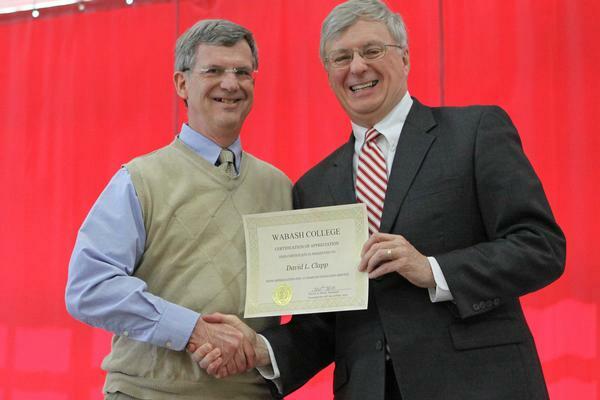 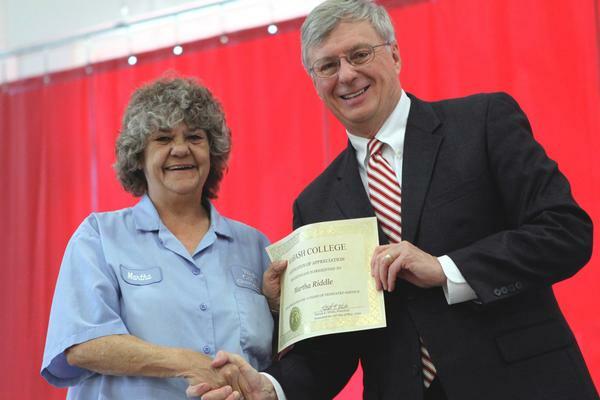 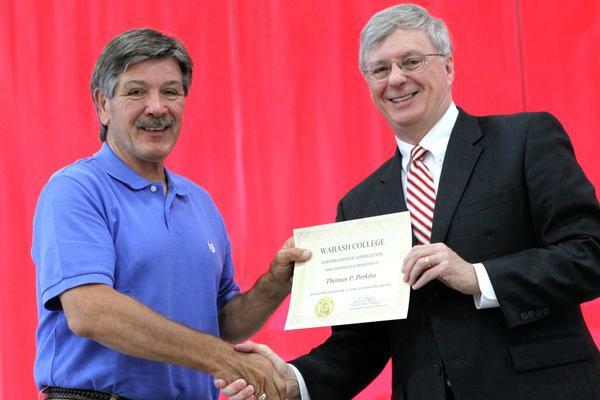 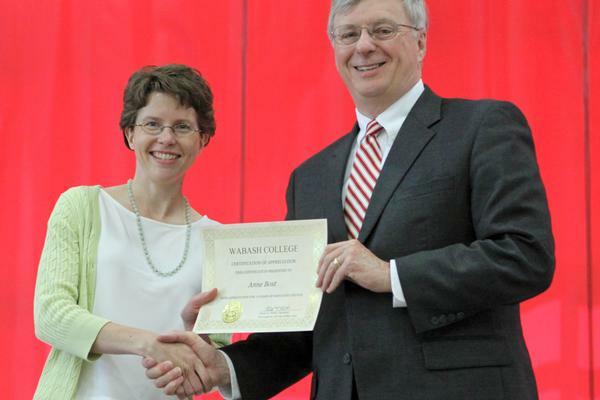 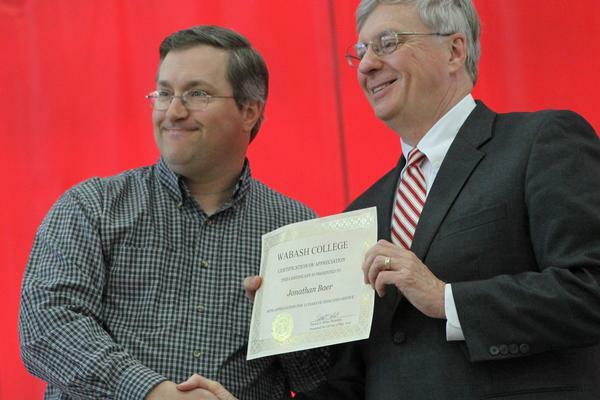 The Wabash College community gathered Friday in the Knowling Fieldhouse for the third annual Service Recognition Luncheon, paying tribute to staff and faculty who have served the College from 10 to 25 years and honoring Professor of Political Science David Hadley, who retires from the College this year after 43 years. 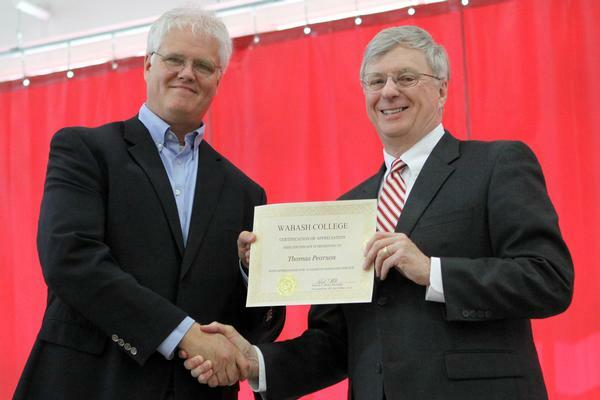 Members of the National Association of Wabash Men and the Board of Trustees joined President Pat White, administrators, faculty and staff for the event. 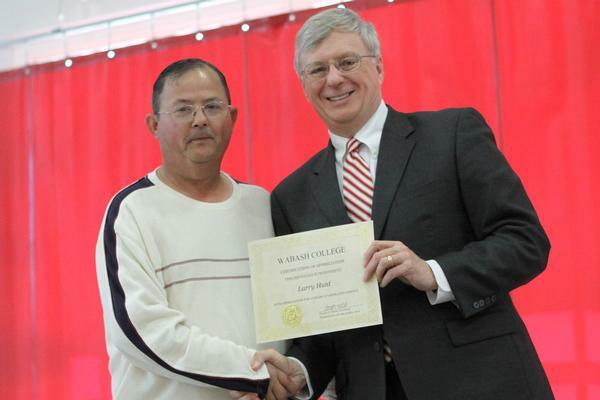 Photos of the individuals honored can be found in the photo albums accompanying this article. 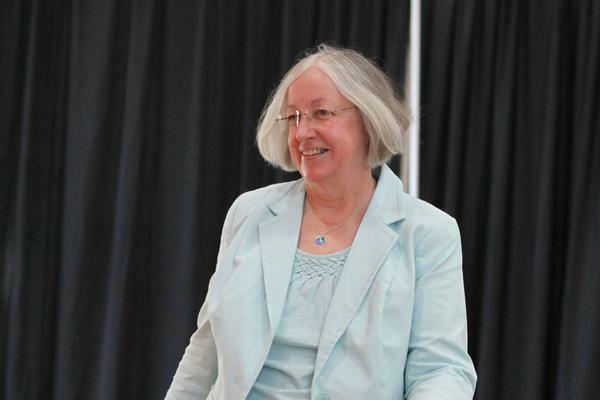 At the conclusion of the event and following a sustained standing ovation for Professor Hadley, President White paid special tribute to the late Bill Degitz, the College's former business office manager who died Wednesday at the age of 91. 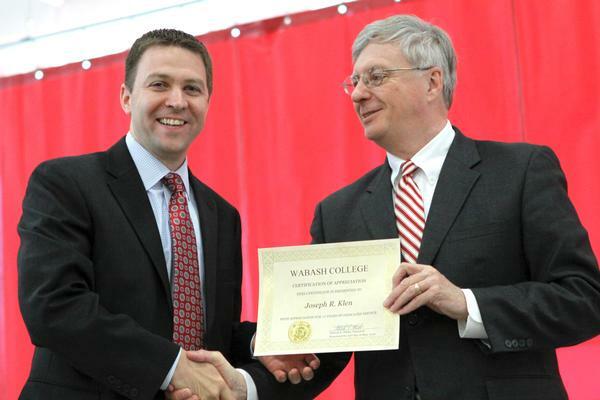 "One of Wabash's most loyal and quietly influential sons, he did much to advance the cause of Wabash in the 1950s and 1960s," President White said. 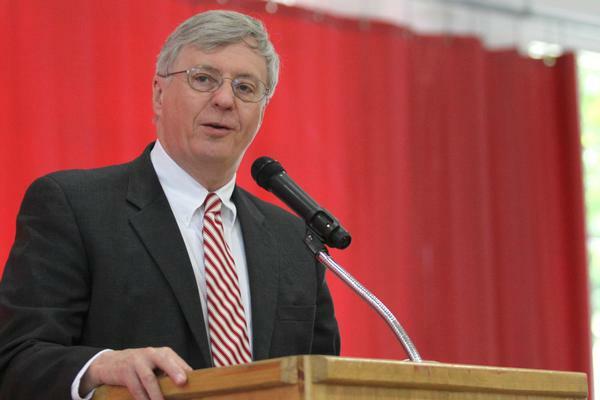 "He was also a strong and vibrant leader in Crawfordsville—a gentleman and a citizen, Bill will be missed." 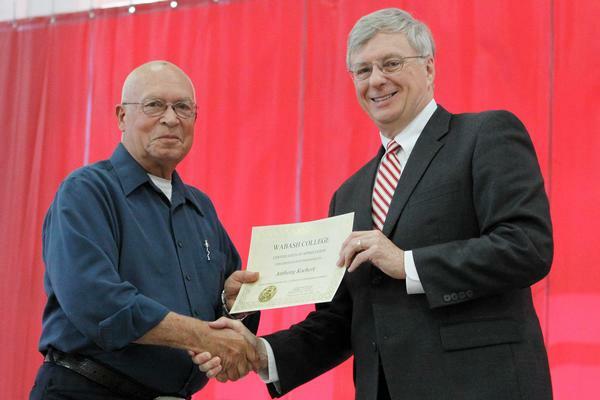 White noted that those honored Friday had served a combined 513 years at the College. 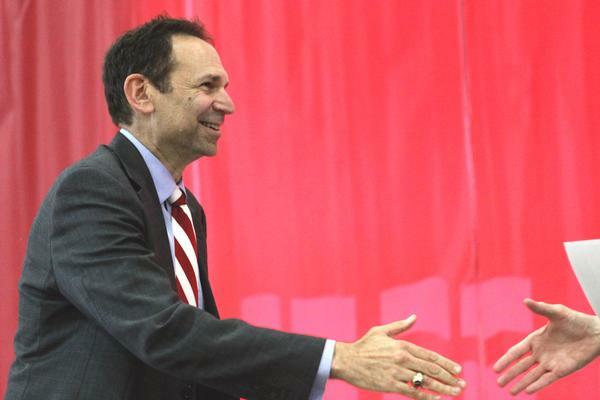 "But more than for the time you have served, we thank you for the contributions you have made to our mission," President White said. 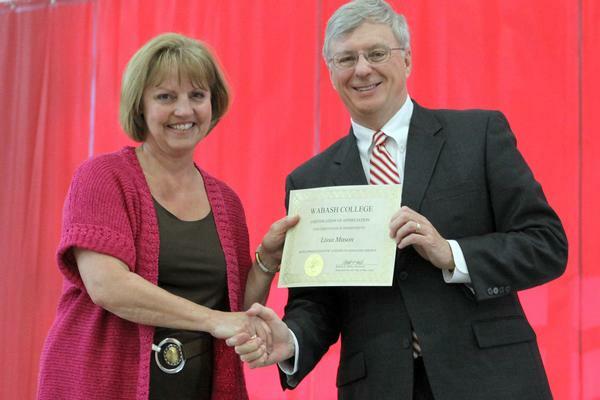 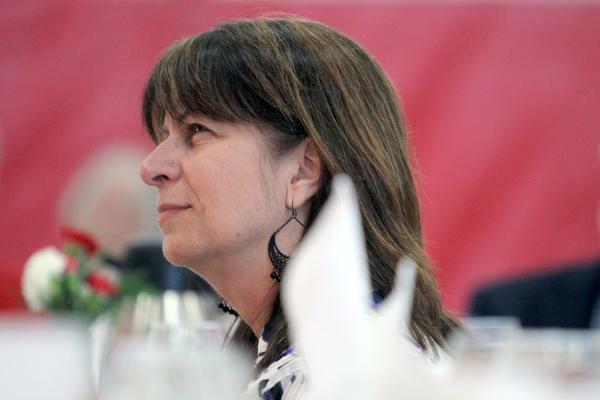 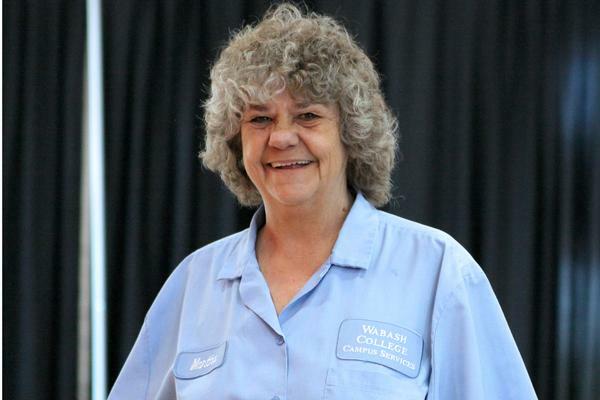 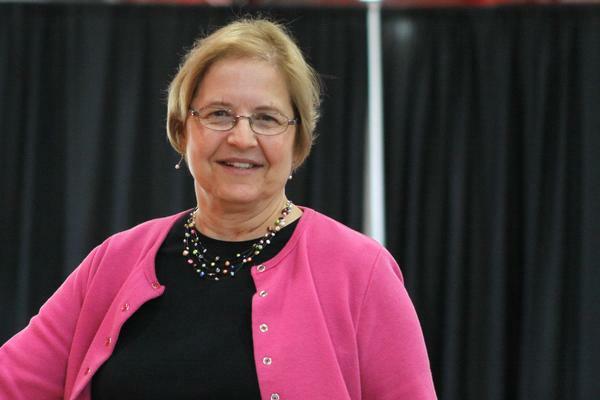 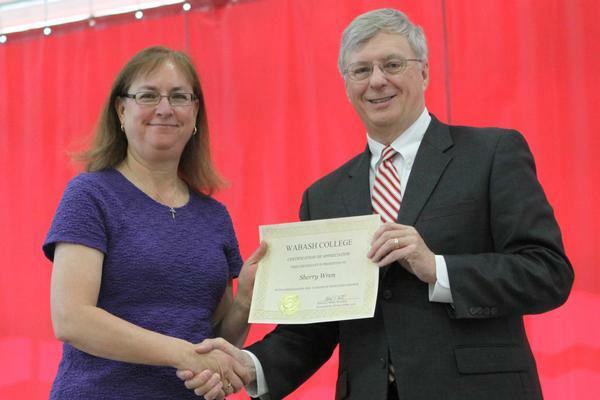 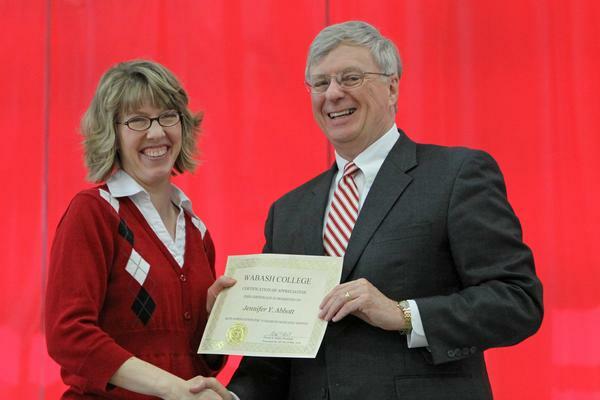 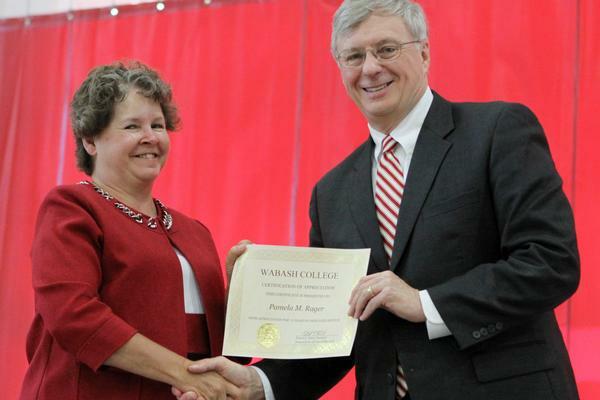 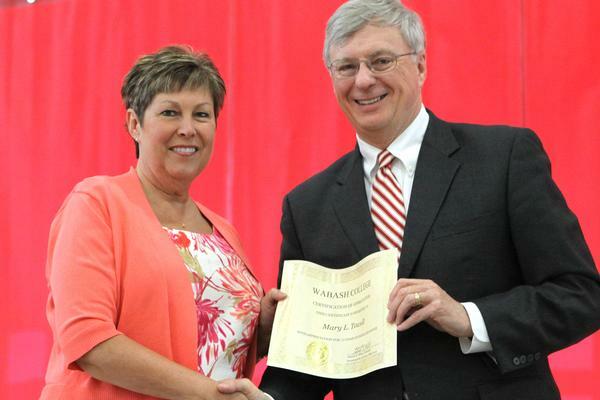 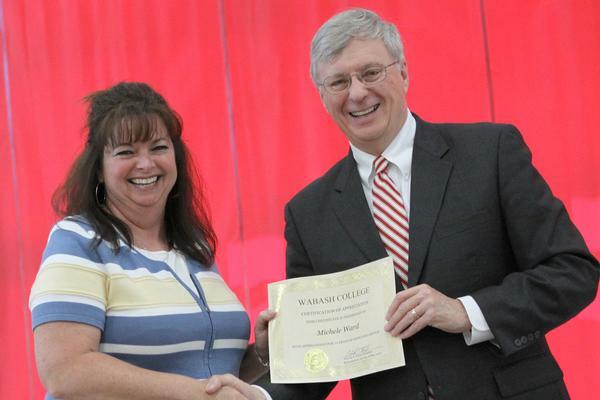 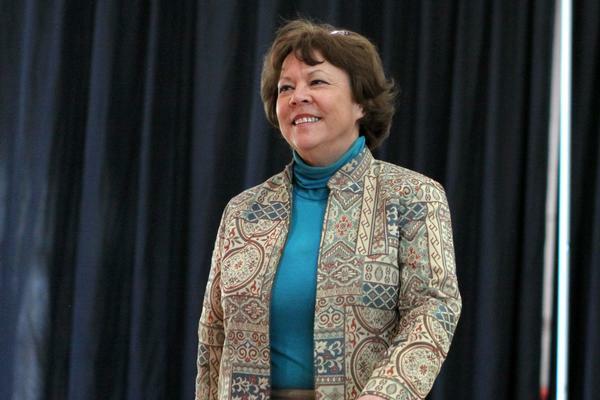 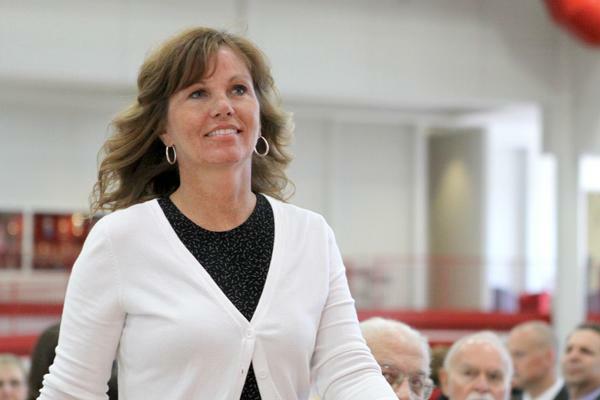 "Without your commitment, passion, spirit, and dedication, Wabash could not be Wabash. 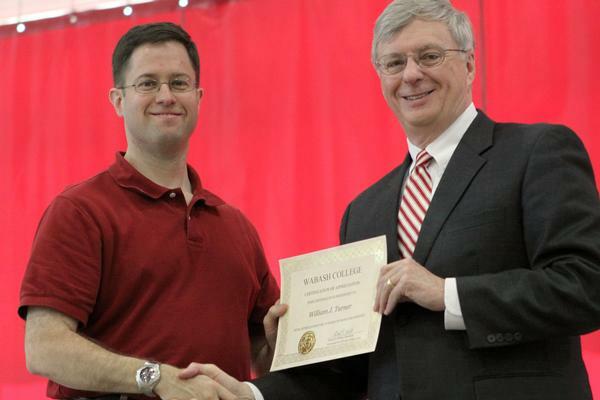 Thank you for your service in shaping our best imagination of who we are."